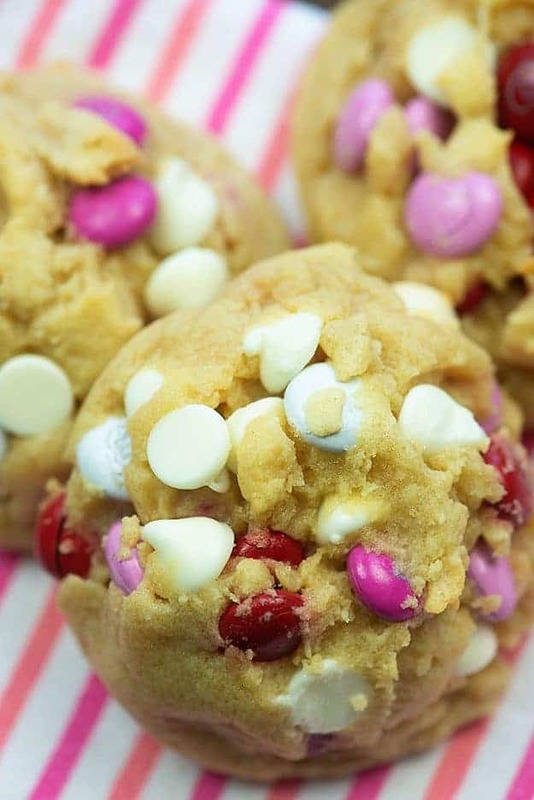 Pink and red m&m candies make these soft and chewy cookies perfect for Valentine’s Day! So thick, chewy, and delicious – your sweetheart won’t be able to resist these treats! All of the cute little pink and red candies and cookies and clothing and decor and…well…everything is out in full force in the stores now. 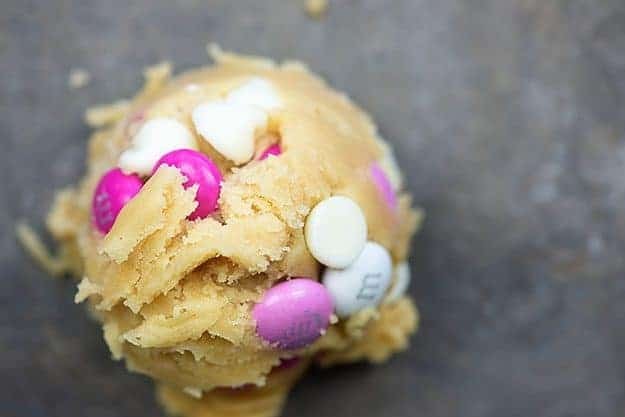 I figured it was high time that I popped in with a cute little Valentine’s Day recipe for you guys! I’m the least crafty person out there, so my version of a Valentine’s Day cookie is probably different than some people’s version – there is no intricate royal icing design, nothing coated in candy melts, and there is definitely no longer than 20 minutes involved in this whole recipe from start to finish. We’re using the base for my homemade chocolate chip cookies to start. I don’t want to oversell these cookies or brag too hard about this recipe, but you guys. This makes the absolute best chocolate chip cookies ever. This dough starts with melted butter (do not use margarine), brown sugar, and sugar. You’ll beat that together and then mix in an egg and some vanilla. Add in your flour, baking soda, and salt and mix to form a soft dough. This dough really isn’t as stiff as a traditional cookie dough, but don’t be alarmed. It’s going to bake up beautifully. 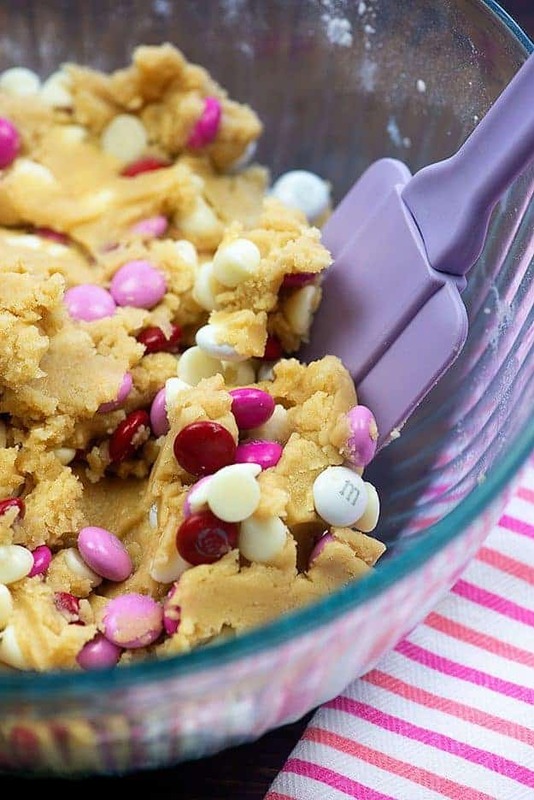 Stir in your m&m candies and some white chocolate chips. I used the Cupid’s Mix m&m’s which I found at Walmart. I’ve spotted them at Target too, so keep an eye out! I used a large cookie scoop (affiliate link) for these guys, which I bought from Amazon. I have the small, medium, and large version of these scoops and use one of them every time I make cookies – they’re so handy and you always get evenly sized cookies, which means they’re also evenly baked! These cookies bake in 10 minutes. They might look slightly underdone or even a bit wet in the centers of the cookies, but they’ll finish setting up as they cool on the baking sheet. Please don’t overbake these cookies. They’re not meant to be crispy. 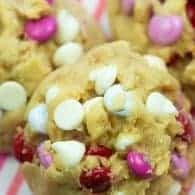 Red Velvet Cake Mix Cookies: Bright red with pops of white chocolate chips, these are easy and pretty! Valentine’s Crunch Bar: These crispy crunchy ooey gooey cereal bars are the best way to celebrate! Red Velvet Donuts: They’re baked instead of fried and perfect for a V-Day breakfast! Chocolate Covered Peeps Hearts: This one is perfect for the kids to help with! 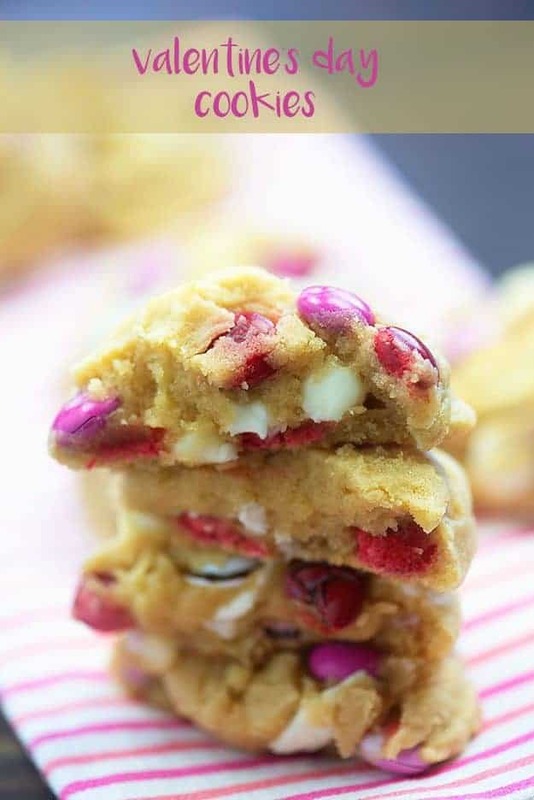 These white chocolate chip cookies are stuffed with pink and red M&M's and white chocolate chips. So soft and chewy! This dough doesn't tend to double well. If you need more than a dozen cookies, I recommend making separate batches. These cookies look festive & yummy! I haven’t made them yet, but I can tell they are good! 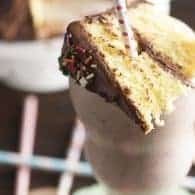 This recipe is the same chocolate chip cookie base I use! 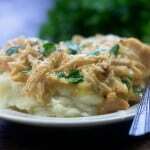 My Mom gave me her recipe 40+ years ago & it is the same! We use it for our M&M cookies, our white chocolate, cranberry orange, macadamia cookies, everything! We bake it the same way, 10 mins, let it cool on the tray and it will set up! Large scoop! You are my kind of baker! Love it! Thank you! 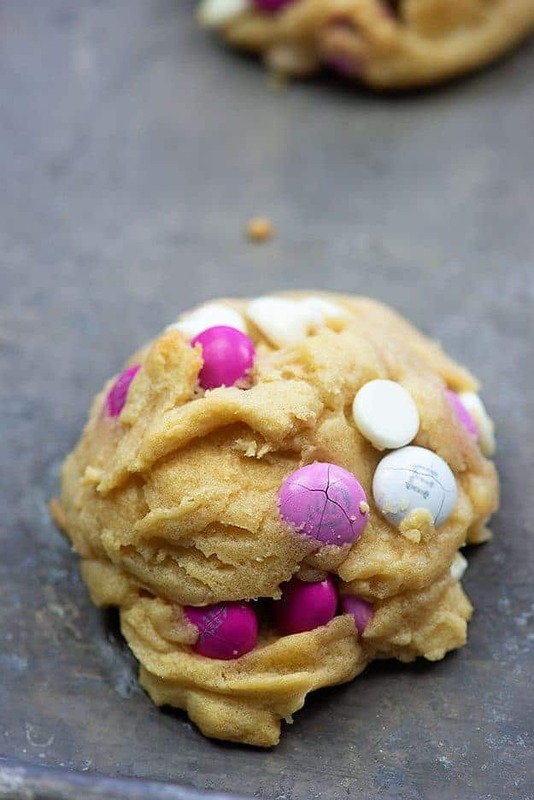 I have added the M&M’s before, but never with white chocolate chips! I will be making these! ??? I always buy unsalted butter. These need salted butter? You can use unsalted if you prefer. 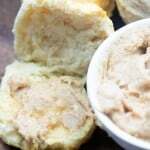 Can you refrigerate dough to make the next day? Yep, you sure can! I’d portion it into balls first as it’s hard to scoop when cold. 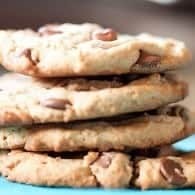 I made these with chocolate chunks and dried cranberries and they were really good too! 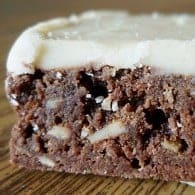 I made the Christmas version and now these…they are so good! My family loves these! No. The recipe calls for real butter.